"I thought I was seeing things. Inside of a few moments, I saw a wall of violet smoke. It was the signal that day for enemy tanks. Since the entire crest of the high ground in front of us was firing the signal and it was also appearing everywhere to the right on the embankment, it was immediately clear – without receiving any orders or reports – that a massive tank attack of the Russians was in progress"
In early July, 1943 for the last time as equal combatants; German and Soviet forces fought one of World War 2's most pivotal battles at Kursk in Southern Russia. The battle was to be the zenith for Germany; it was never to drive the initiative in the East again. Kursk was to be the first time that the Russians stopped a German summer offensive before it had achieved its strategic aims and more significantly build their own operation where there was a clear defensive and offensive phase. The German attack was but Act I in the Russian plan. 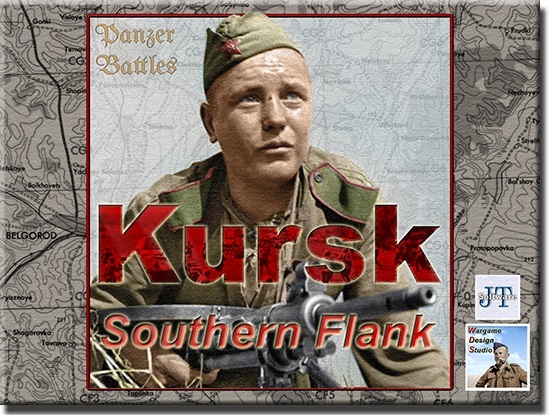 Battles of Kursk – Southern Flank is the first release in John Tiller's Panzer Battles series. 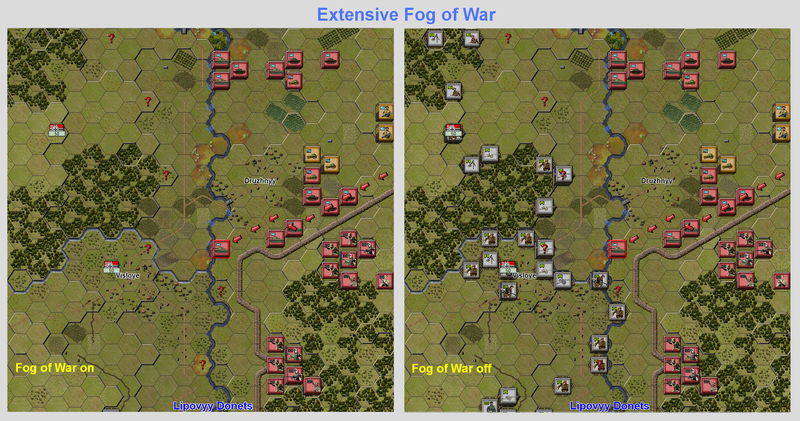 With a focus on the more climactic southern attack, players will understand why both sides viewed the battle as a victory; though many would consider it Pyrrhic. Fought across nine days from July 4th to July 12th the battle was much more than the imagined storming of a fortified line. Meeting engagements, hasty defenses and even the first widespread use of tank busting aircraft were more typical of the day to day fighting. Both sides deployed their country's elite forces. 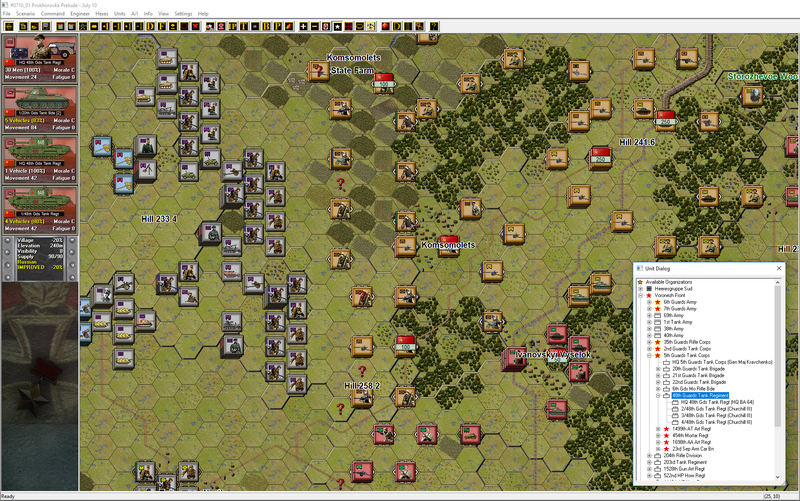 The Germans fielded their carefully reconstituted Panzer forces, led by the II SS Panzer Korps. The Soviets deployed the armies that had recently crushed the German 6th Army at Stalingrad, newly replenished and promoted to Guards honorifics. 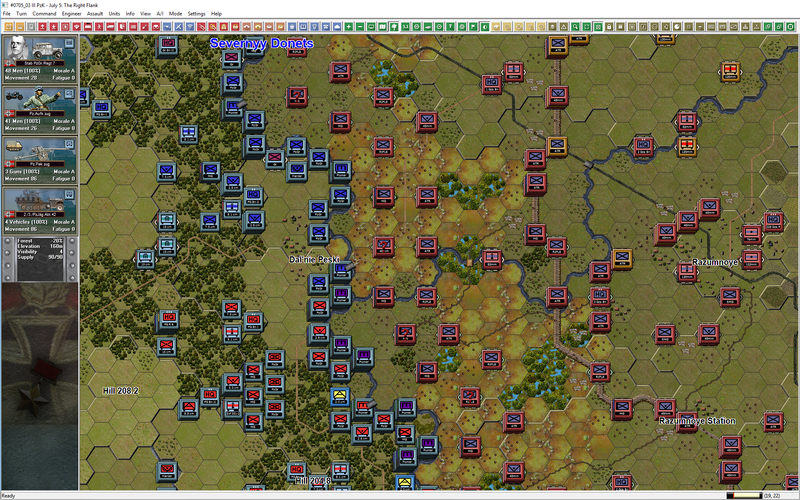 Battles of Kursk – Southern Flank includes 60 scenarios ranging from 5 turns to 38 turns in length. All nine days of battle are covered with a good mix of small (battalion/regiment), medium (division) and large (corps) engagements. 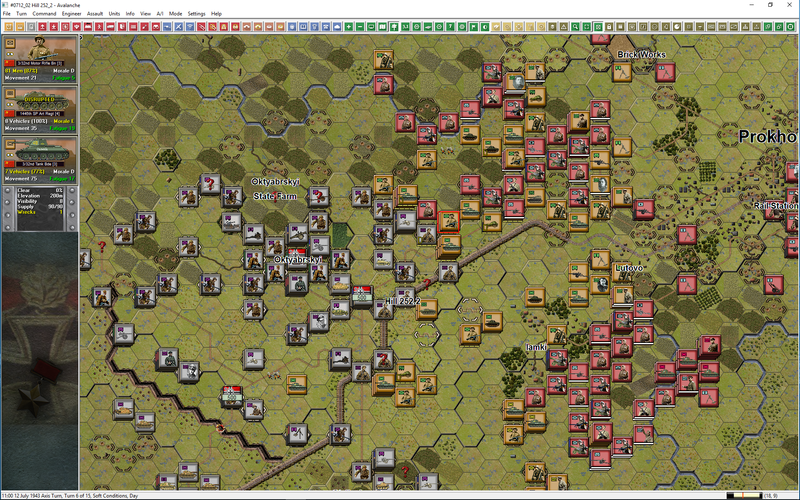 Just under half of all the scenarios are less than 15 turns in length and can be comfortably played in an hour or so. 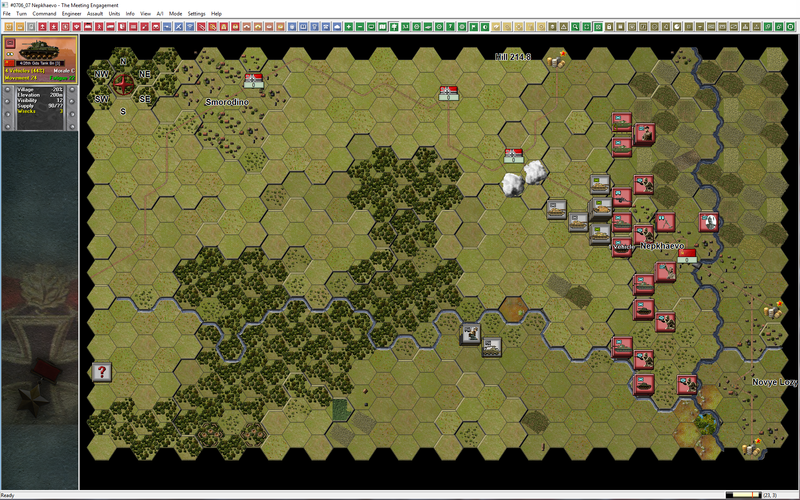 A game scale of 1 hex equal to 250 meters, 1 turn equal to 30 minutes, with platoon and section size units. 60 Scenarios – covering all sizes and situations, including specialized versions for both head to head play and vs. the computer AI. 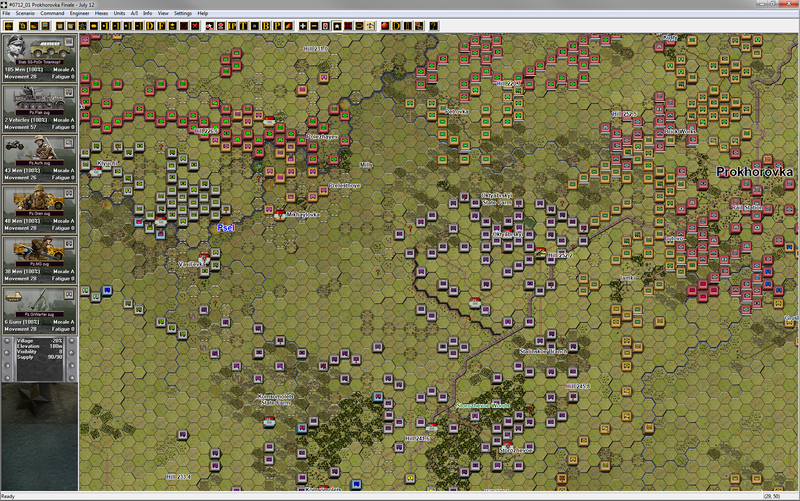 The Master Map covers 102,000 hexes covering the area of the German attacks and the initial Soviet counterattacks. 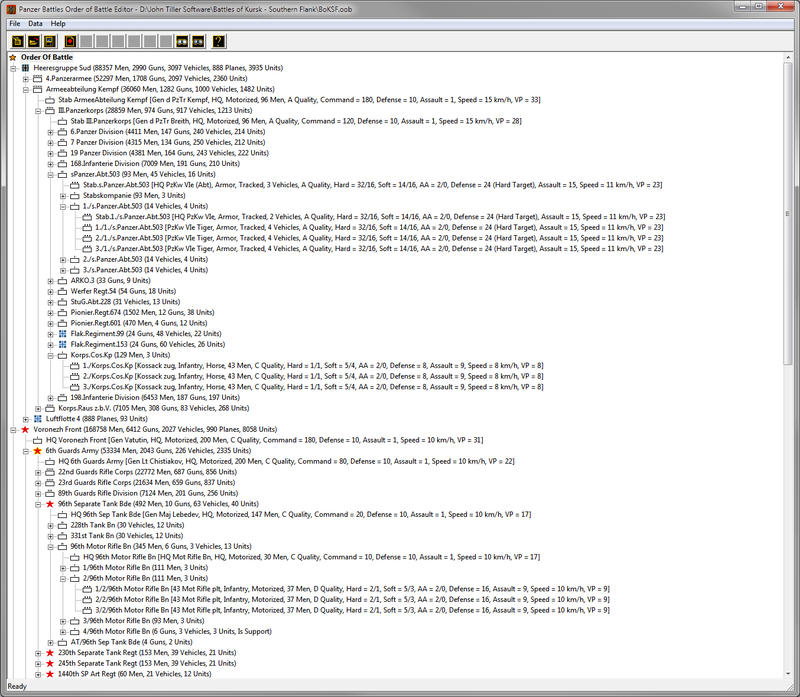 45 sub maps are included. 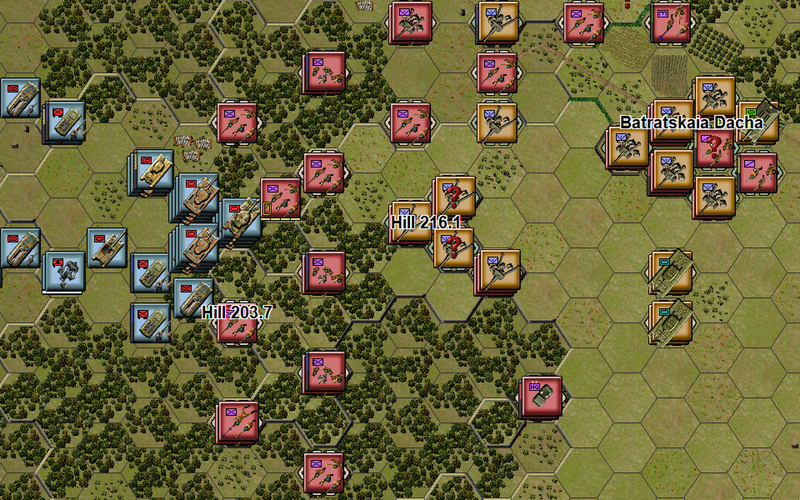 An Order of Battle with over 15,800 units from two Soviet Fronts and a German Army Group including units from Wehrmacht, SS, and Luftwaffe formations as well as Guards and regular Russian Army units. 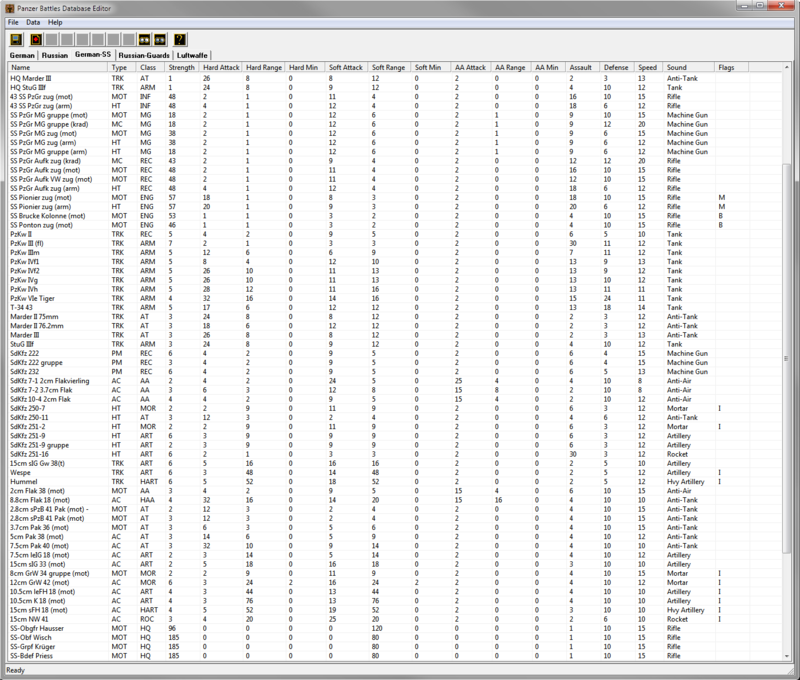 Unit component, Order-of-Battle and Scenario Editors which allow players to customize the game. Sub-map feature allowing any of the included maps to be "chopped" up into smaller segments for custom scenario creation. All new map graphics with a new visual style to improve height perception. Fortifications and other icons are integrated into the game map. 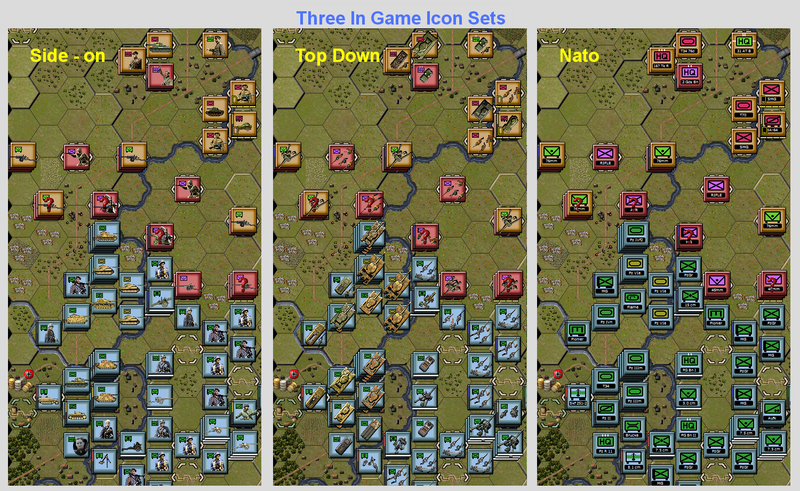 Three different counter sets switchable in game including side on, top down and NATO symbols. 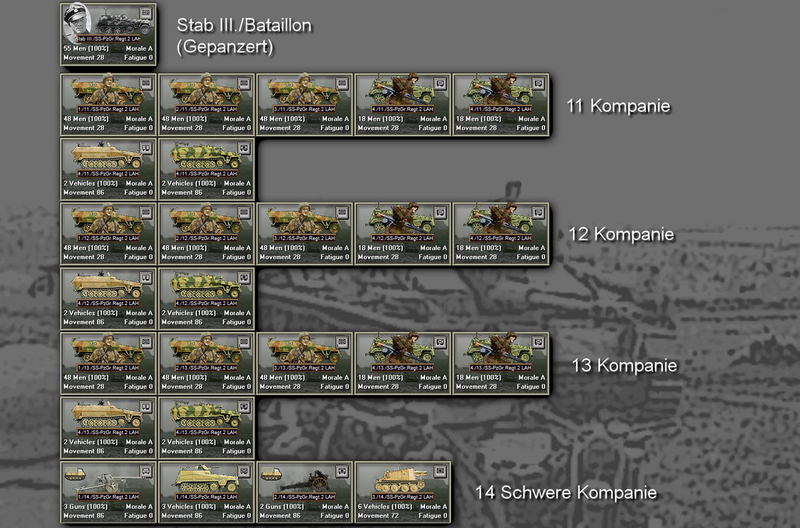 All new images for unit art for both sides, including infantry, guns and vehicles. Exceptional Documentation including a 57 page 'Visual Order of Battle Guide', 23 page 'Situation Maps & Scenario Locations Maps' and 84 page 'Designer Notes & FAQ'. 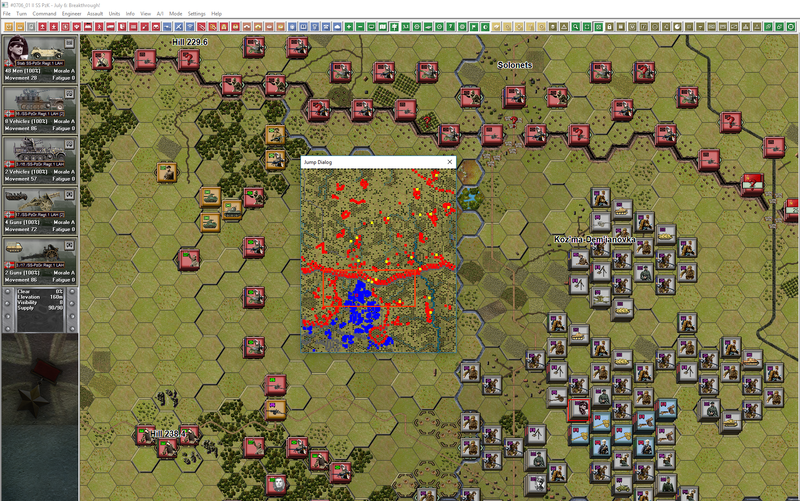 Battles of Kursk – Southern Flank provides multiple play options including play against the computer AI, Play by E-mail (PBEM), LAN & Internet "live" play, and two player hot seat.